It's almost here again. Halloween. My favorite holiday of them all. This time of year, I tend to become a little obsessed with things that are dark, spooky, and/or macabre. I like to break out stories by Edgar Allan Poe, or watch movies by Tim Burton or John Carpenter (the original Halloween movie is one of my favorites). You get the idea. Let's start with a true Halloween classic. 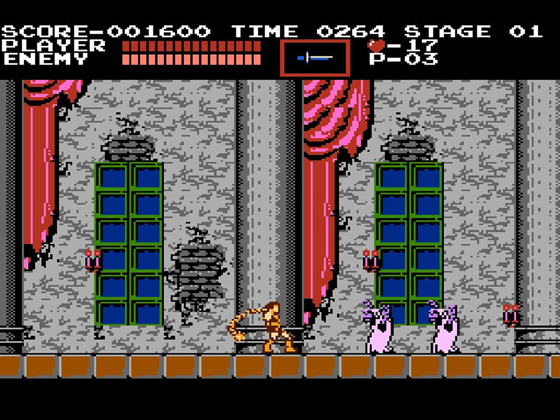 The Castlevania series is one of the longest running game series of all time. There have been many excellent titles over the years, (just about) any one of which would be a great pick for this time of year. For me, the NES original is still the best though. Take control of vampire hunter Simon Belmont as he makes his way through Dracula's haunted castle, fighting zombies, skeletons, ghosts, mummies, Frankenstein's monster, the Grim Reaper, and of course, Dracula himself. How's that for a scary good time? Great Halloween games haven't only appeared on home consoles. One of my favorite series that first made its appearance in the arcades is Darkstalkers. All three entries to the series are pretty fantastic, but my go-to choice is almost always the second one. 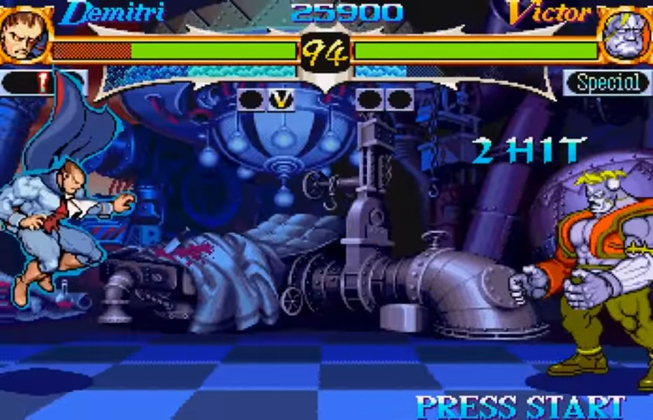 Like Castlevania, Night Warriors: Darkstalkers Revenge contains all the classic monsters you'd expect to see, plus one or two that you might not. You can engage in classic Capcom 1-on-1 fighting action with a vampire, a Frankenstein-esque monster, a werewolf, a mummy, a zombie, and more... There's even a sasquatch and a succubus! It's the perfect game to liven up any Halloween party. This game should need no explanation. 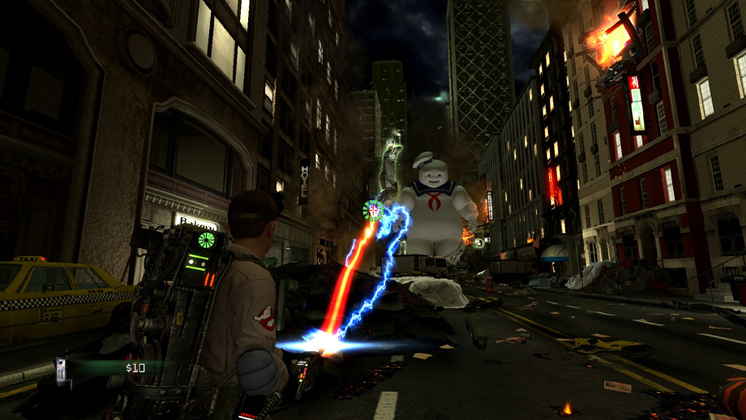 Ghostbusters (the video game) allows you to play as "the new guy" and travel to different parts of New York City trapping ghosts and reliving all the great moments from Ghostbusters (the movie). Best of all, all four original Ghostbusters, and Janine (the secretary) are in the game and voiced by the actual movie actors. How awesome is that?!? Resident Evil (aka REmake) is the only unoriginal game on this list. But make no mistake, this game absolutely belongs here. 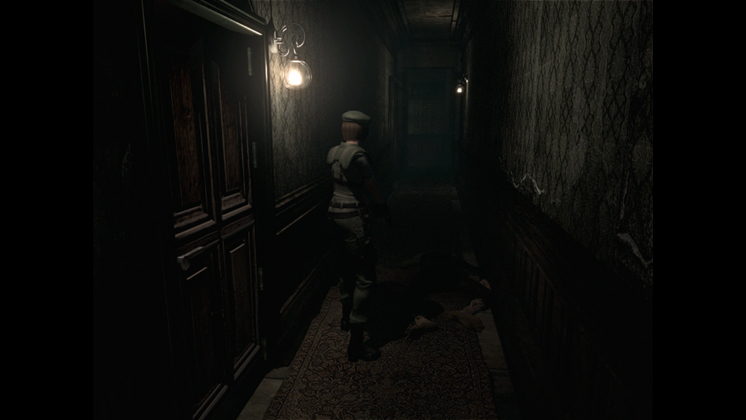 The 2002 GameCube remake puts the 1996 original to shame in nearly every way. The remake was so beautiful and so incredibly well-made that it was even recently ported to current systems with very few changes needed. 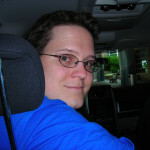 (Nearly thirteen years later!) Whatever system you play it on, this game is truly an amazing experience. The mansion the story is set in is a terrifying place to explore and would make for one hell of a Halloween attraction if it was ever to be recreated in real life. 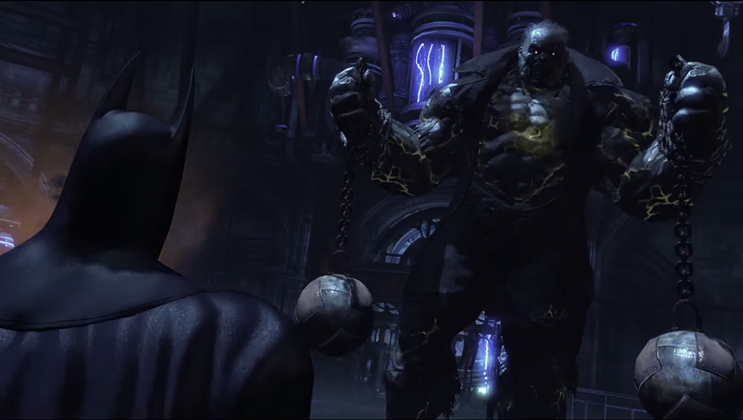 You may or may not think of Batman: Arkham City as a fitting Halloween game. But I can assure you that it makes perfect sense. Allow me to explain; you've got a man who can turn into a bat, a black cat (woman), an insane clown and his evil harlequin sidekick, are you with me so far? Because there's more. Solomon Grundy is basically a straight up cross between a giant zombie and Frankenstein's monster (see above image). Also, the whole story takes place over the course of one long night, and all the while there are dudes in crazy costumes running amok all over the city. Additionally, if you go and visit Calendar Man on October 31st, he will acknowledge the date and tell you a creepy story to mark the occasion. There. I think I've made my point now. Finally, we have Costume Quest. Hands down the most Halloween-related game ever made. After your twin sibling is taken from you on Halloween night, you must save the day (or night, rather) by trick-or-treating and battling monsters. Explore the neighborhood, swap costumes, get candy, and rescue your sibling before it gets too late. 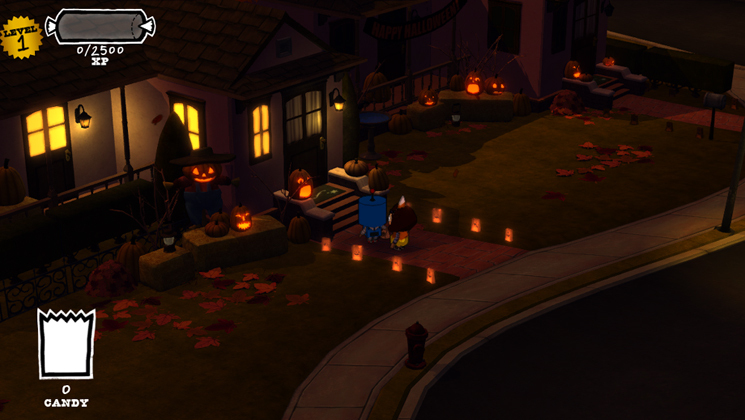 Costume Quest is an absolute joy to play and really does a superb job of putting you in an appropriately festive mood. What about you? 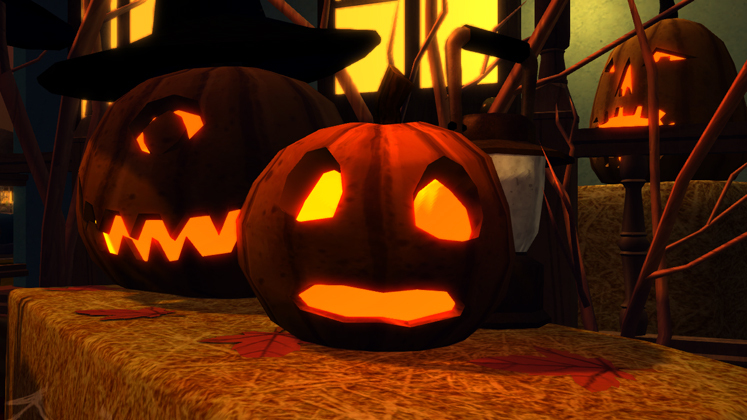 Which games just scream Halloween to you? Which ones do you feel I should have included in this list? Please share them in the comments.